The Cod Hole area is probably the most popular dive site around Julian Rocks. The Cod Hole itself is a spacious swim-through which takes you from 15 to 18 metres. 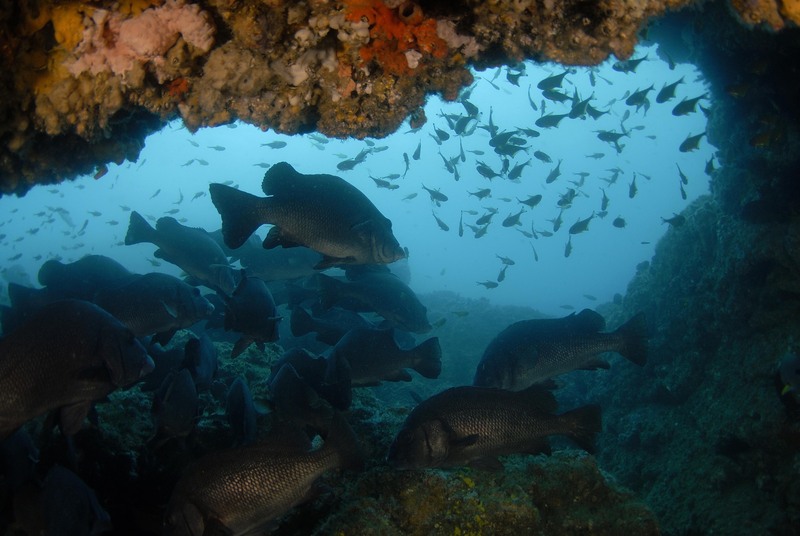 Inside the Cod Hole, there are usually masses of fish in all sizes, ranging from schools of tiny yellow Bullseyes to giant Queensland Gropers that can reach up to 2.5 meters in length and 600kg in weight. Especially when there is a little bit of current, the Cod Hole and the area just before the Cod Hole are packed with big fish such as Jewfish, Sweetlips, Snapper, Cods, Queensland Gropers, Kingfish, Trevally and big rays such as Bullrays and Eagle Rays. Just behind the Cod Hole where the sandy bottom drops to about 20 metres, you will find one of the most popular sites for Grey Nurse Sharks when in season. These sharks are spectacular to dive with and can be seen in huge numbers along the deeper sand trenches around Julian Rocks. At the peak of Grey Nurse Shark season, it is not unusual to be surrounded by up to 20 of the endangered sharks. They are quite scary looking but very docile to dive with as they are quite used to divers and simply cruise along very close to us as we stay still and observe them. Apart from the Grey Nurse Sharks, there are lots of other things to see behind the Cod Hole. Generally you would expect to find big rays, large pelagics, giant Queensland Gropers and lots of big schooling fish such as snapper, Jewfish and Sweetlips in this area. This is really a great spot for divers who love to swim with big fish. Going out North from the Cod Hole, it gets deeper as you move away from the island. It is a good idea to look up and around as you can often see large pelagics or big schools of Bat Rays or Pygmy Mantas going past. Around the corner it gets a little deeper as well (the bottom drops to 24-25 metres) as we take you to another much smaller swim-through called the Cray Cave. As you swim along the deeper eastern side of the island, keep your eyes open for some big Loggerhead Turtles, Queensland Gropers and big Bullrays. 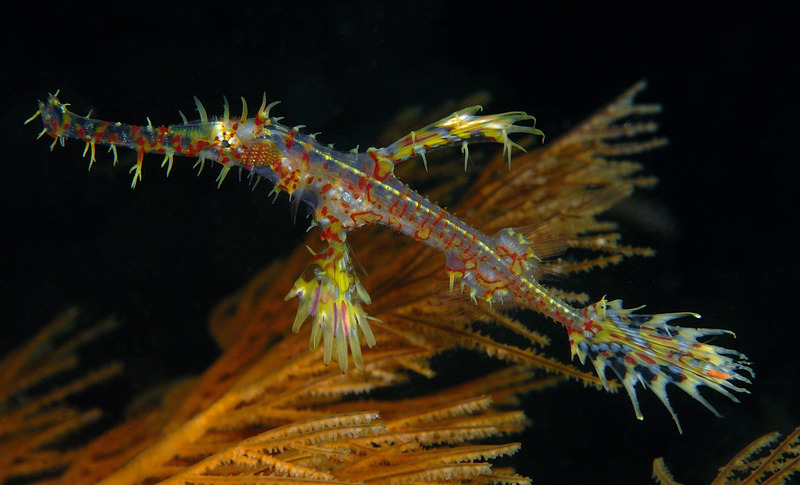 This is also where we frequently find Ghost Pipefish hiding in the Black Coral.